Home Jamie N. Goodreau, D.M.D., M.S.D. Dr. Goodreau is passionate about changing people’s lives through orthodontic treatment. She recognizes each patient`s uniqueness. 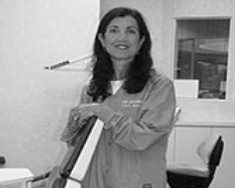 She works tirelessly to help one`s achieve a beautiful and healthy smile. She believes that wearing a good smile will be everyone`s tool in achieving confidence and that confidence will bring them to success.